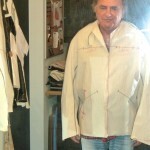 J.K. had a special jacket in mind when he came to me a couple of months ago. 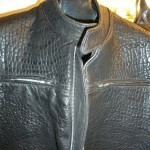 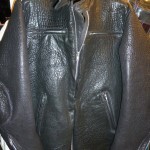 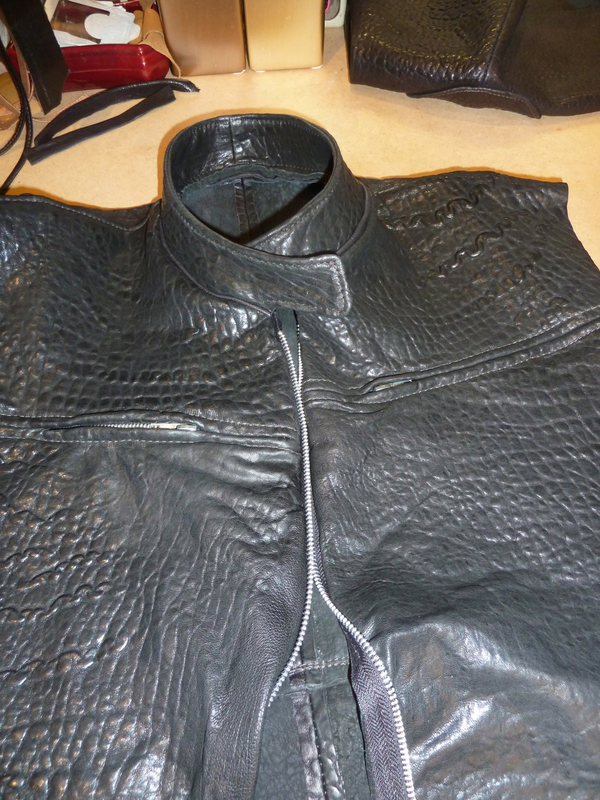 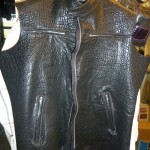 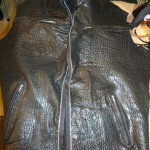 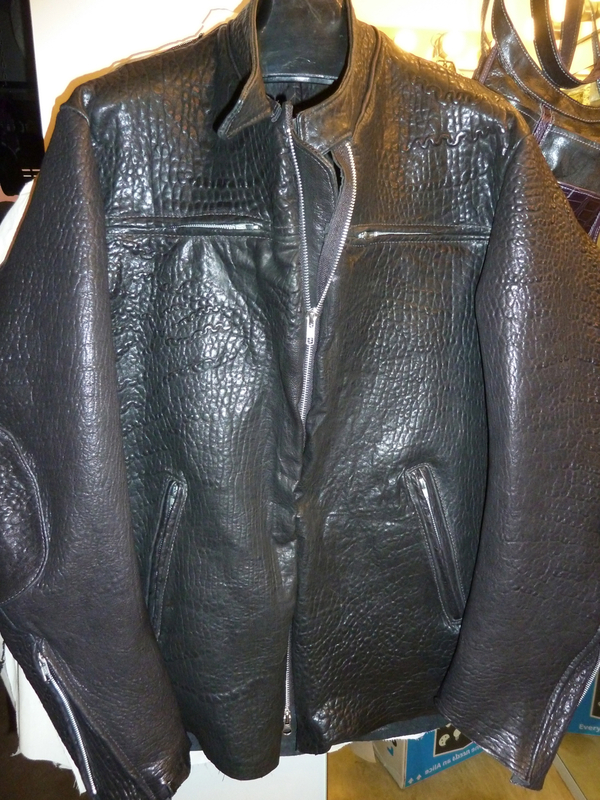 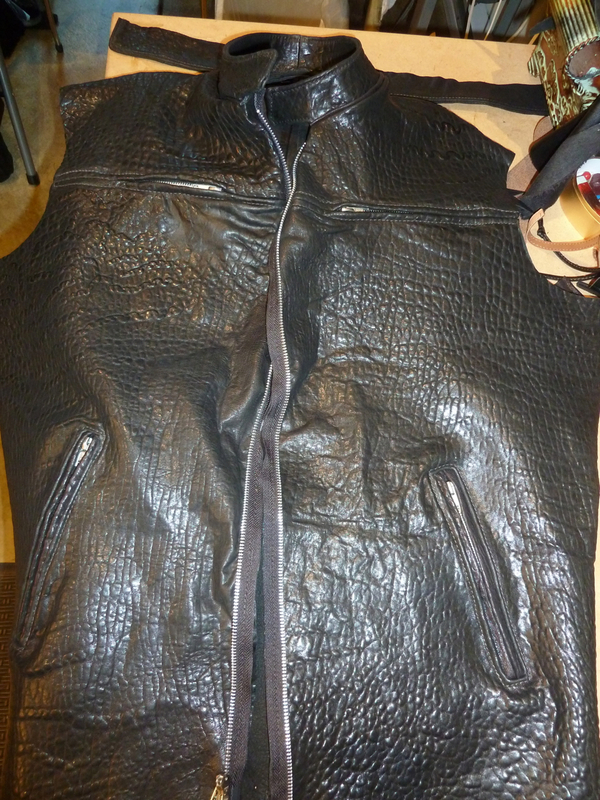 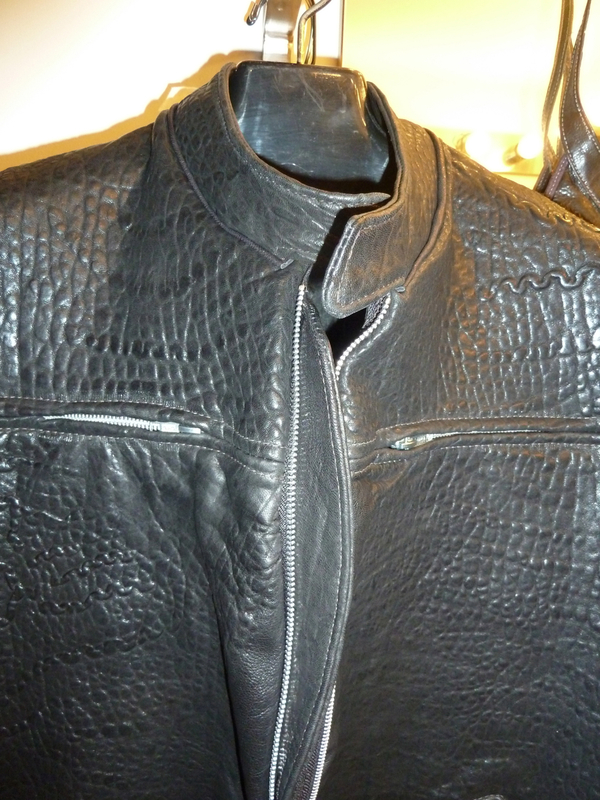 He had seen some jackets made in “washed leather” and loved the look and feel of the skins. 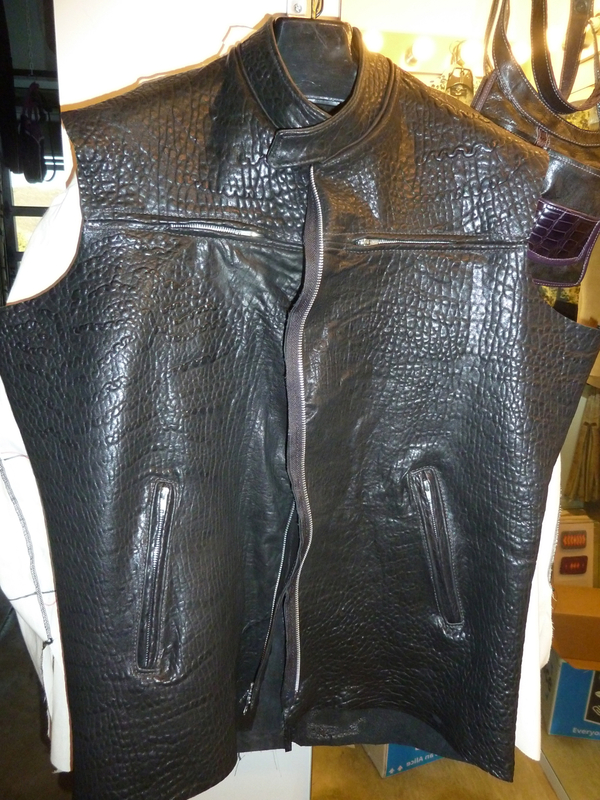 He had always desired a motorcycle looking jacket, and with the new purchase of a sportscar he felt he was ready to own and wear one. 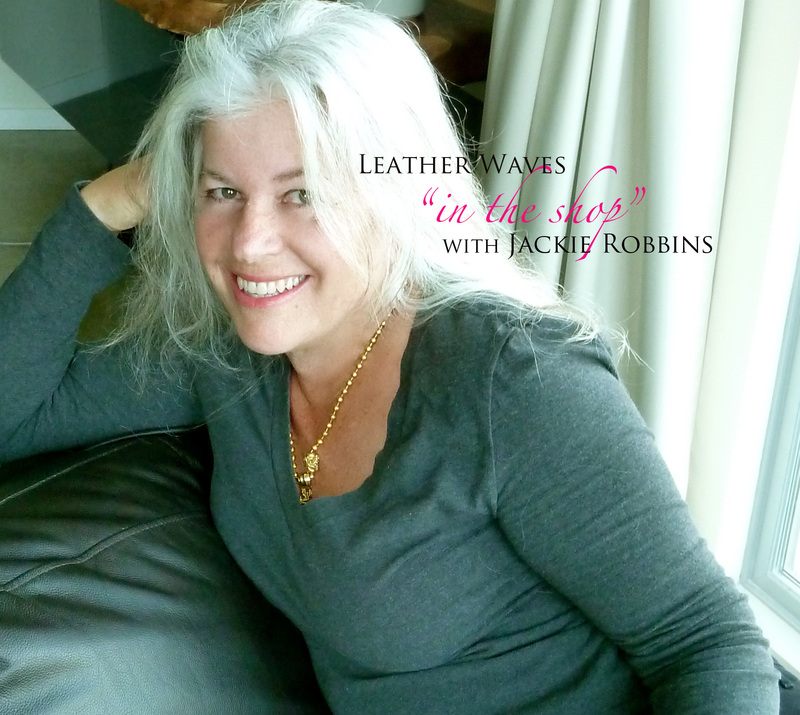 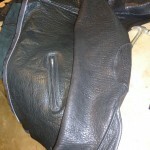 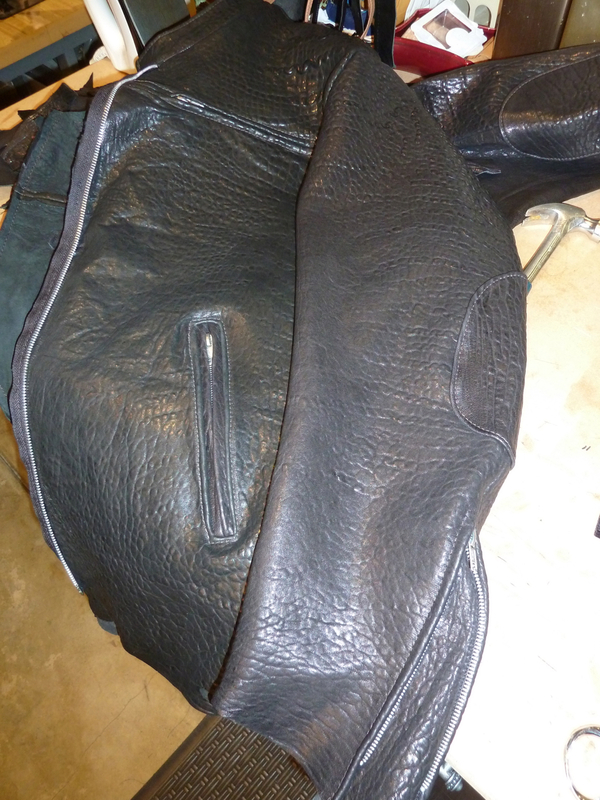 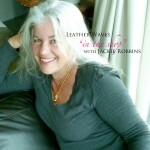 I researched the leather type and finally found a very interesting one that he approved of. 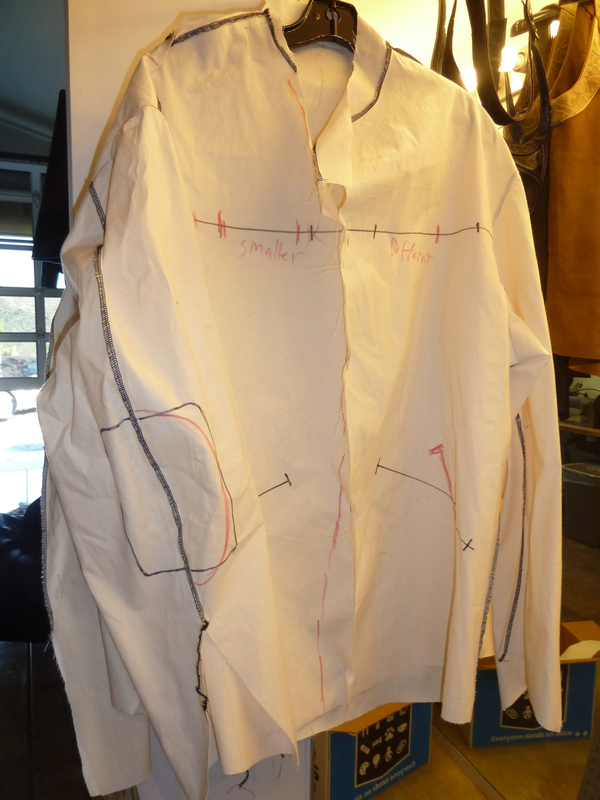 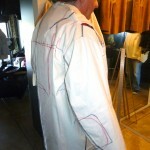 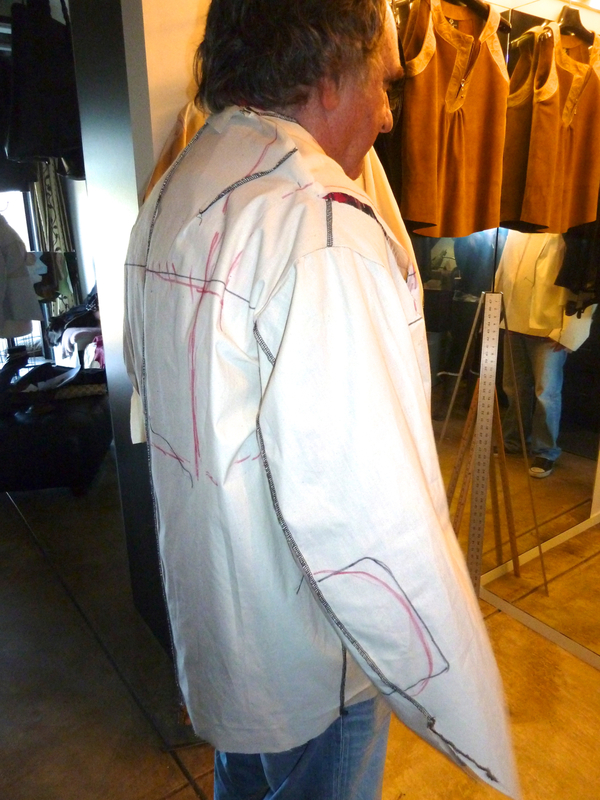 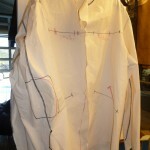 Next I made a basic muslin and fitted him with all the specifications that he wanted, drawing them onto the fabric. 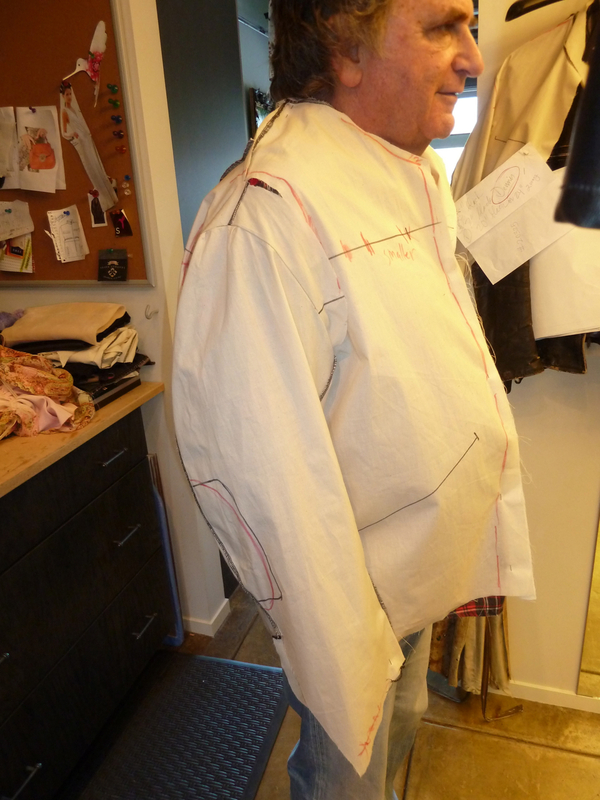 I began cutting the pieces which was a challenge considering the heavy texture, and there were so many interesting features that I wanted to place and include. 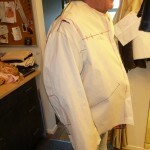 This jacket had 6 zippers on the exterior alone and placing them and sewing them in took time. 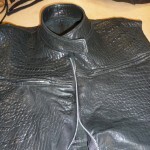 You can see here the outside shell of the jacket. 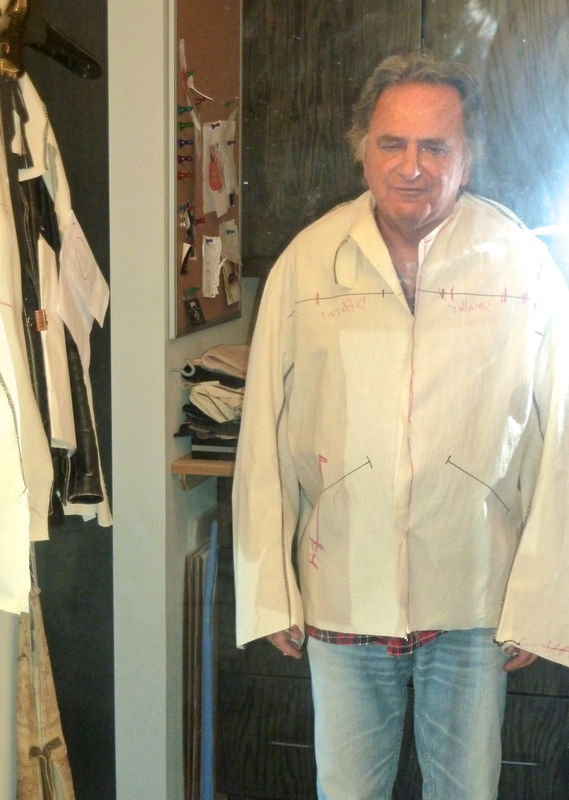 In tomorrow’s episode I will make the lining and finish the jacket with you.